We’d love your help. Let us know what’s wrong with this preview of Antonio Machado by Antonio Machado. Regarded by many as the finest poet of twentieth-century Spain, Antonio Machado y Ruiz (1875-1939) is not well known outside the Spanish-speaking world. This volume will introduce him to Anglo-American readers, enabling them to experience at first hand the subtle nuances of his verse. Some two hundred fifty poems in Spanish, drawn from Machado's entire oeuvre, are accompan Regarded by many as the finest poet of twentieth-century Spain, Antonio Machado y Ruiz (1875-1939) is not well known outside the Spanish-speaking world. This volume will introduce him to Anglo-American readers, enabling them to experience at first hand the subtle nuances of his verse. 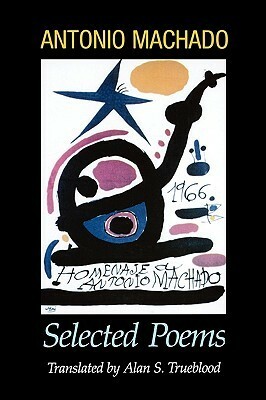 Some two hundred fifty poems in Spanish, drawn from Machado's entire oeuvre, are accompanied on facing pages by sensitive and beautifully fluent translations which render the originals accessible to the mind and the ear. To ask other readers questions about Antonio Machado, please sign up. Antonio Machado is a Castillian Spanish poet from the last century. I find myself transfixed by the ordinary in reading his poetry--I guess that's part of being a mystic. I highly recommend! I like a lot of these, but there are too many elegies to a landscape for my taste. It's a plus to see the Spanish and English versions together. (My translation differed on occasion.) Lovely for reading aloud. This is Trueblood's translation. While other of his work is excellent, this version of Machado is not. Antonio Machado was a Spanish poet and one of the leading figures of the Spanish literary movement known as the Generation of '98, a group of novelists, poets, essayists, and philosophers active in Spain at the time of the Spanish-American War (1898).